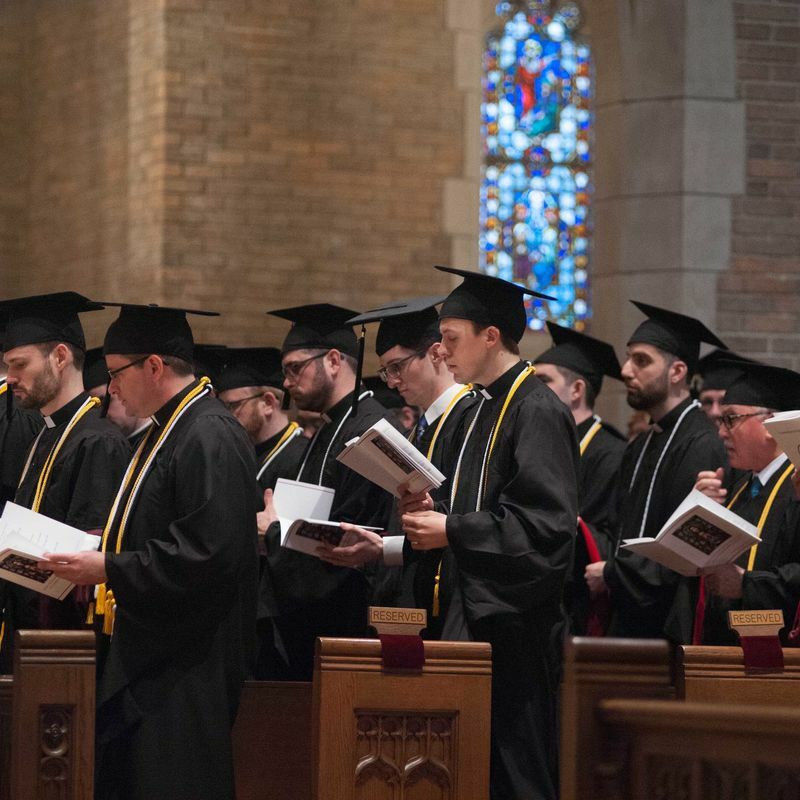 With a record number of graduates this year, Sacred Heart Major Seminary’s Ninety-Fourth Baccalaureate Mass and Commencement celebrated more than degrees on April 28. 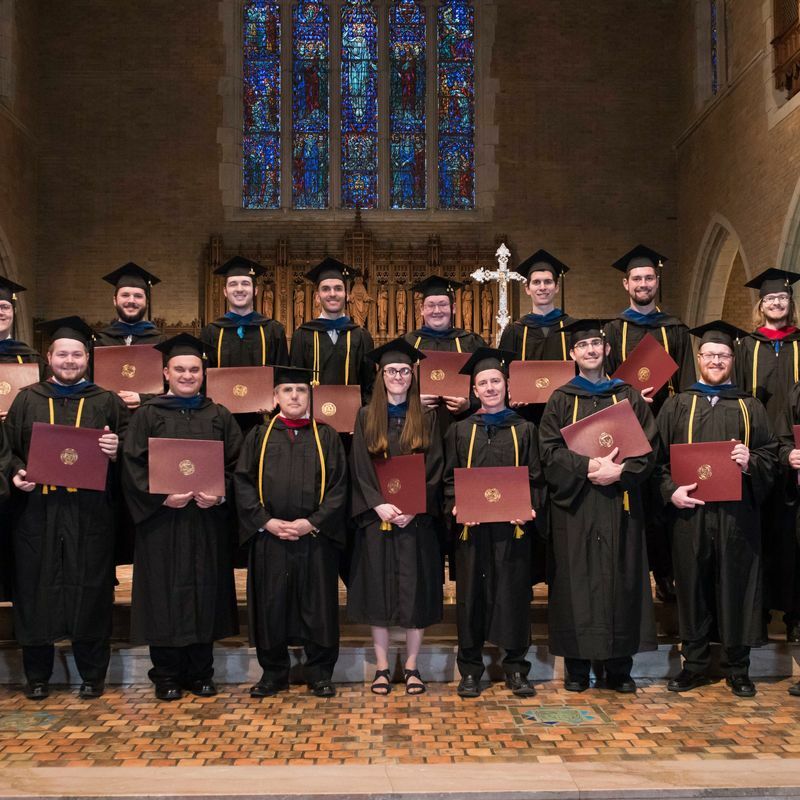 The Class of 2018 marks the largest graduating class since Sacred Heart’s re-founding as a Major Seminary in 1988, with ninety-eight individuals earning 114 certificates, diplomas, or degrees. 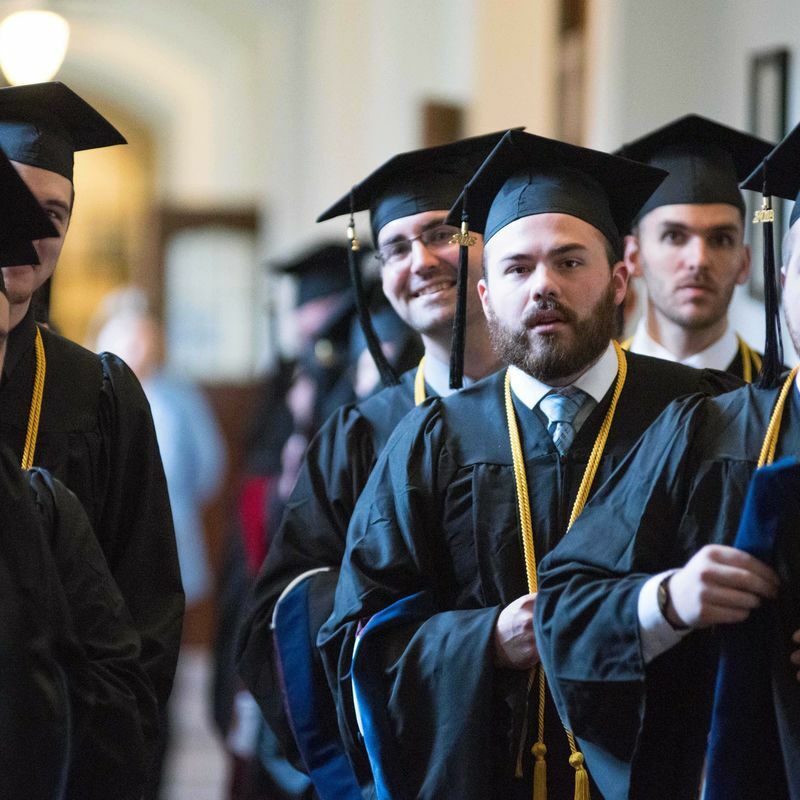 Dr. David Twellman, assistant dean of studies and registrar, credits the seminary’s healthy development as a growing response to God’s prompting for pursuit of the truth, and the need of formation to prepare students to go out and transform the world. 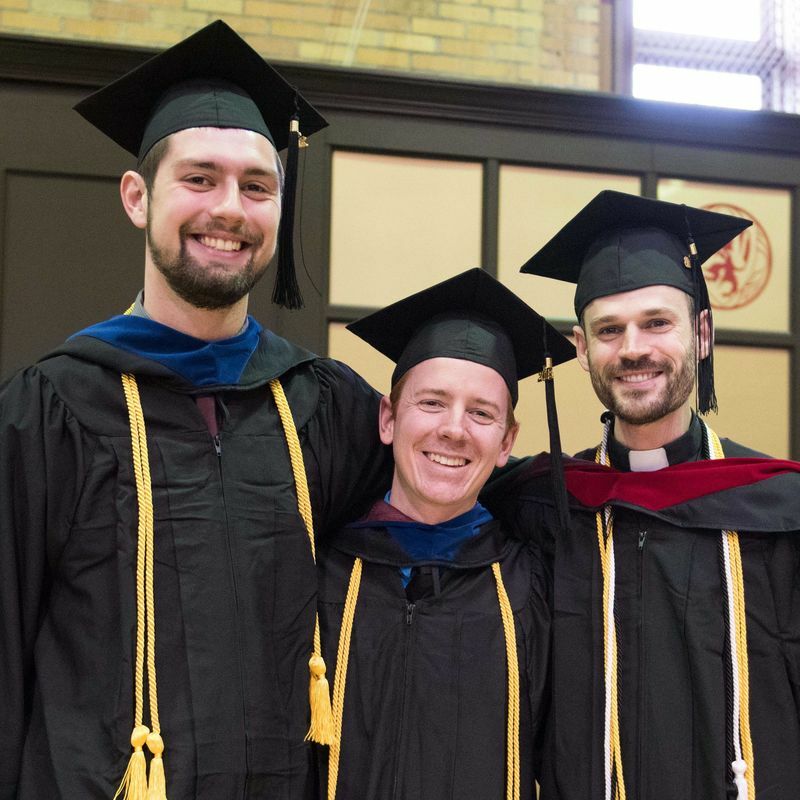 “The core thing is that here they learn what it means to love God and to know God’s truth, and can then go out and apply that,” he said. 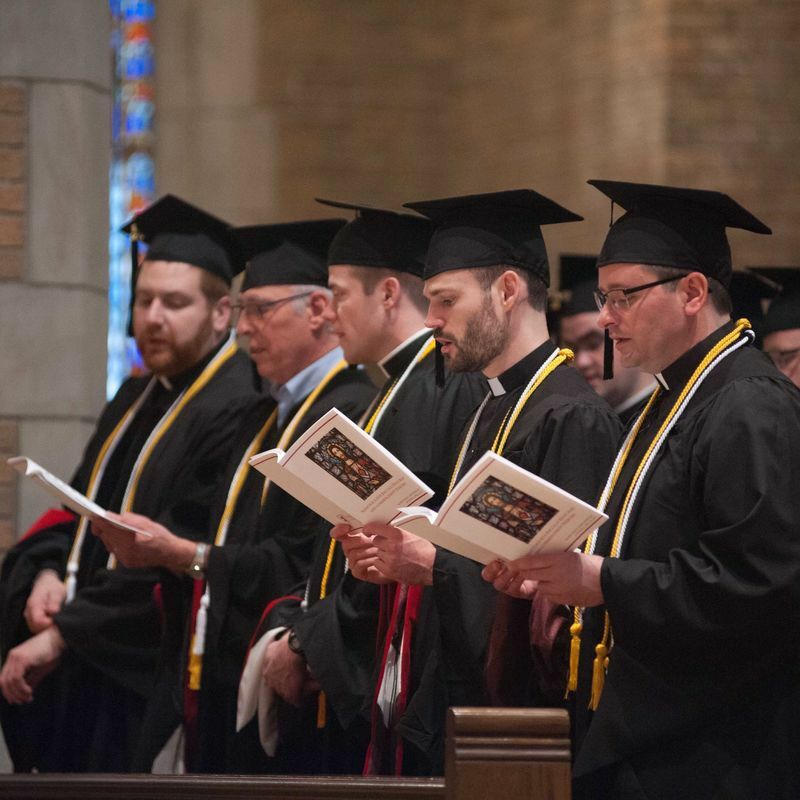 While the seminary’s primary mission is the formation of priests, the majority of the graduating class are lay people. 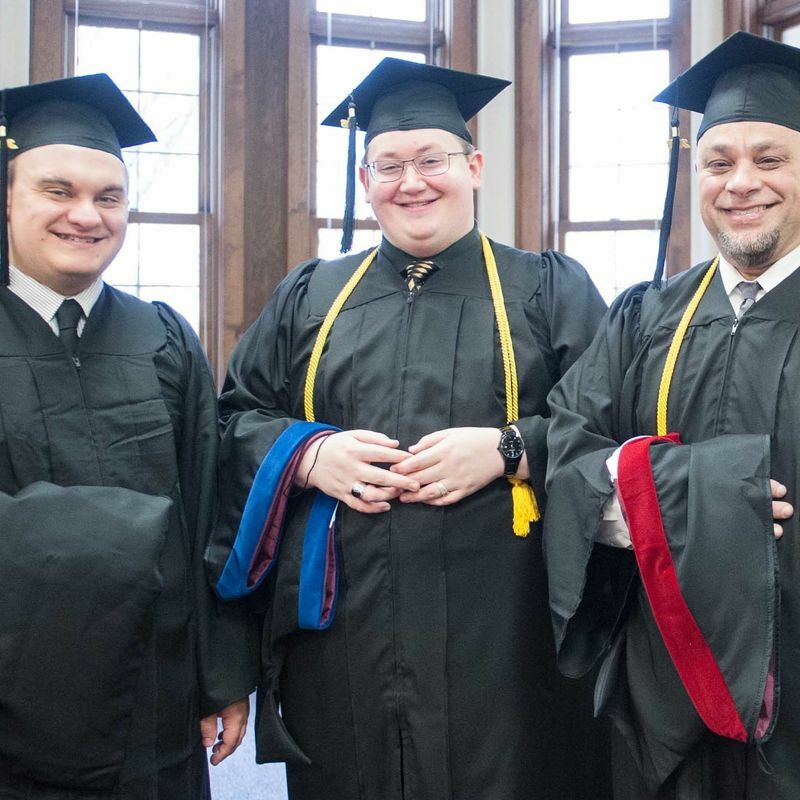 Professor of canon law and Edmund Cardinal Szoka chair of faculty development, Dr. Edward Peters, had plenty of reason to be proud this year. 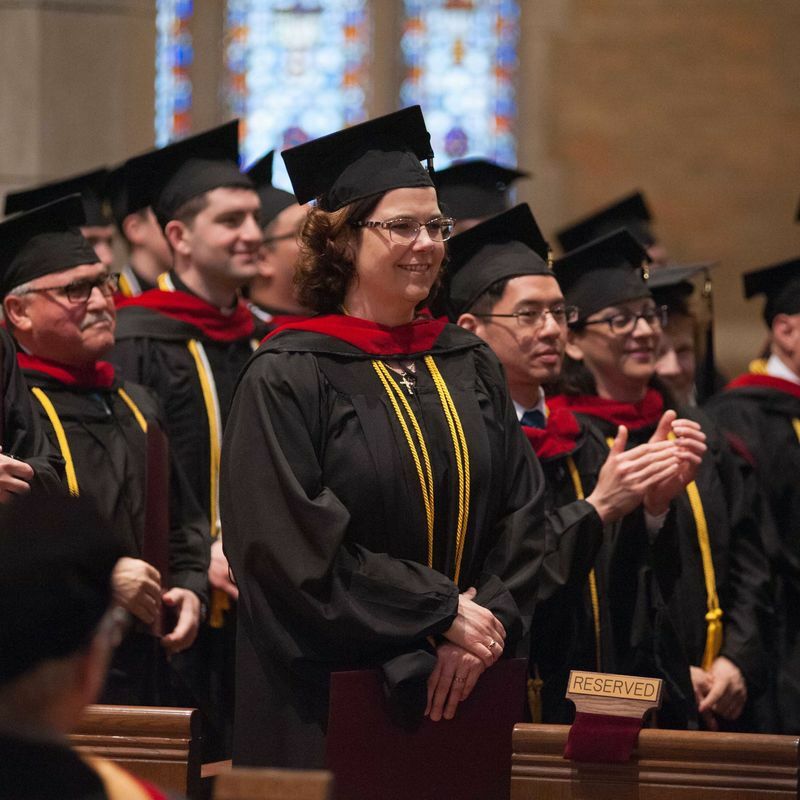 His wife, Angela, and two children, Teresa and Robert, received credentials of Catholic Theology, Music Ministry and Philosophy, and Sacred Theology, respectively, during this year’s ceremony. Not only that, they are following in the footsteps of their older siblings, Thomas and Catherine, who are also Sacred Heart graduates. “These are people who are hungry for the faith. 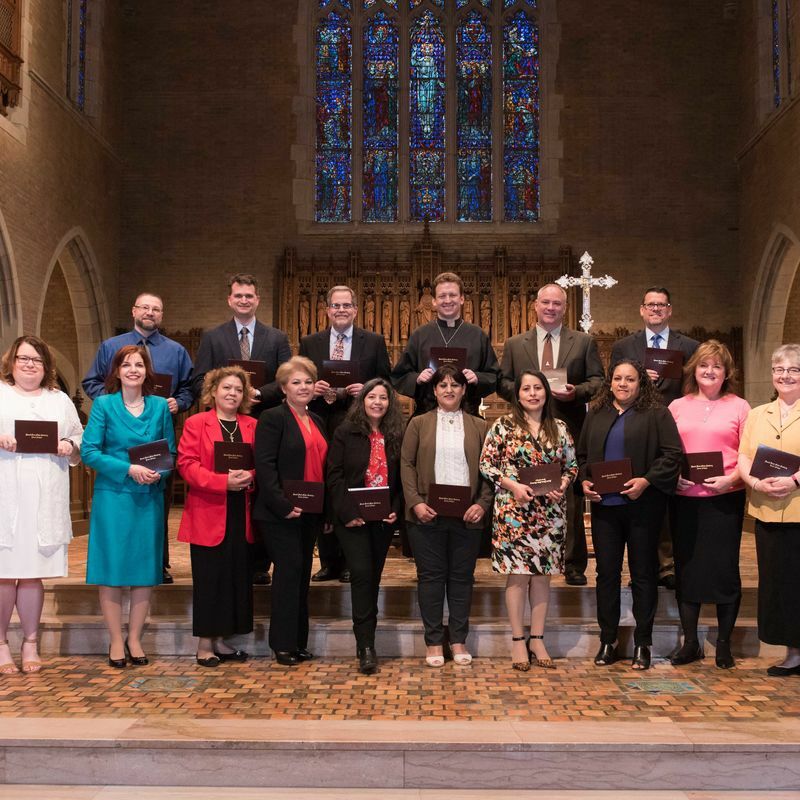 They are studying to do the humble tasks of serving God’s people and serving in God’s name,” said Dr. Twellman. 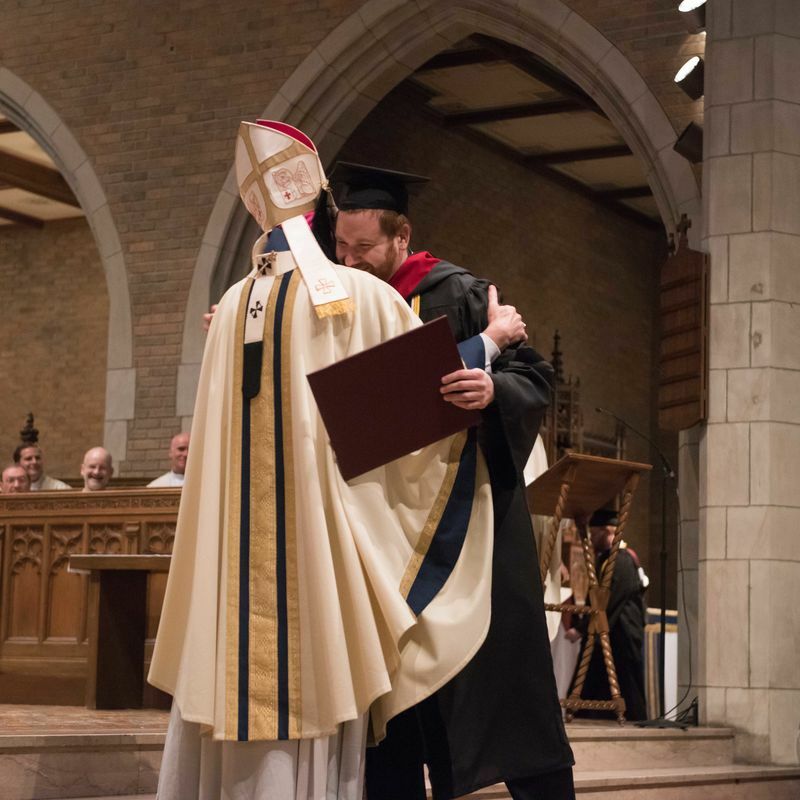 The Most Reverend Allen H. Vigneron, Archbishop of Detroit, gave a powerful homily, calling the class of 2018 to this vital task of service through sharing and unleashing the Gospel. “My own experience is that there is no better way to possess what I seek to know and understand than to share it. And I’m sure you have that great satisfaction today,” he said. 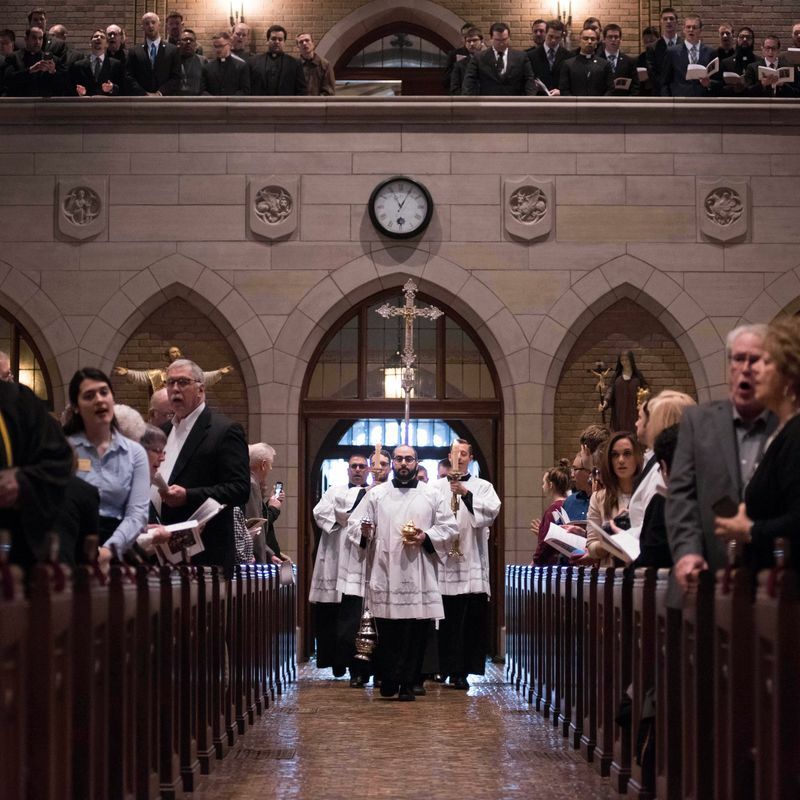 During his homily, Archbishop Vigneron emphasized the Eucharist’s role in evangelization. 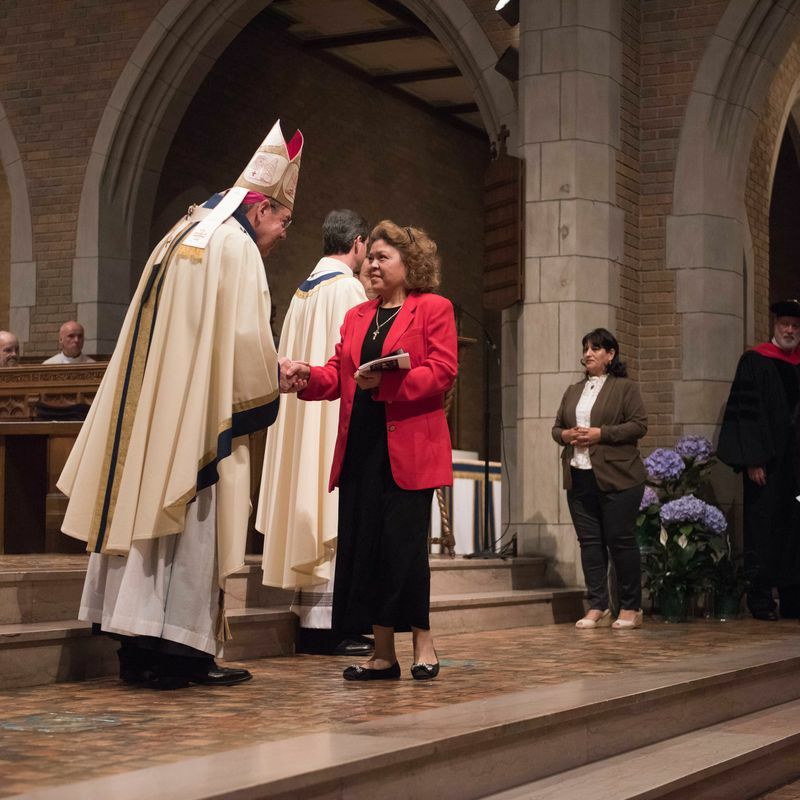 “The work of Jesus Christ that you seek to advance in the world is made present here under the appearances of bread and wine. 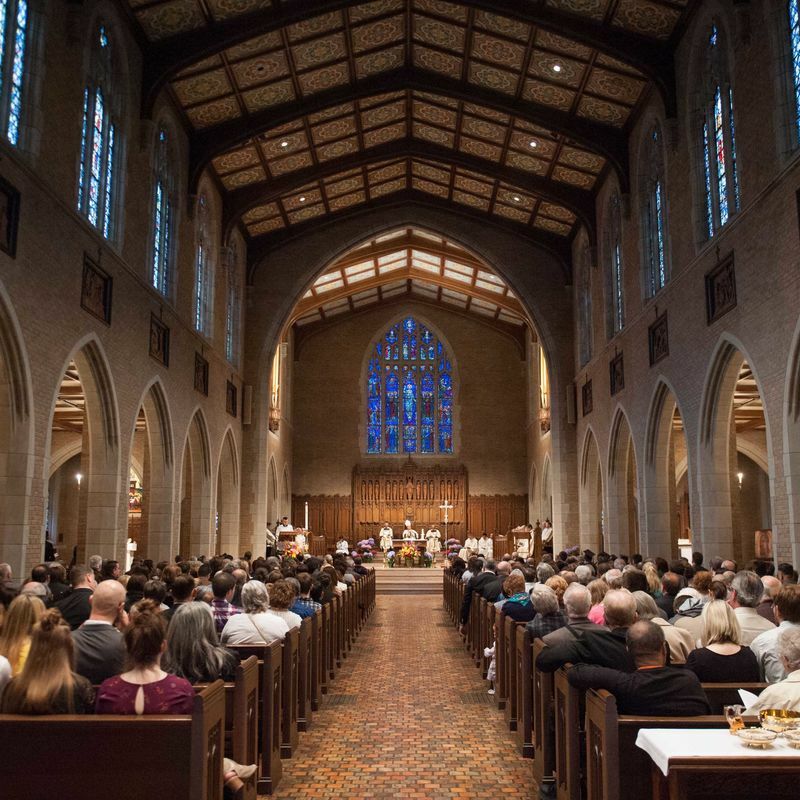 The rescue of the world is most visibly and effectively present here at the Eucharist. 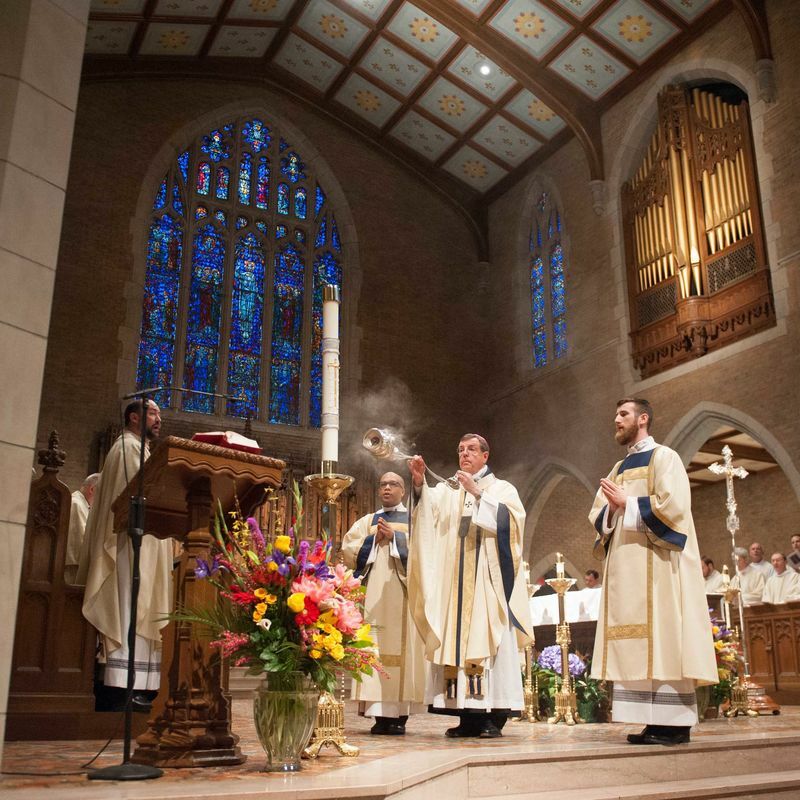 And the Eucharist is the manifestation of the aim of which all of your efforts are focused: to bring people into the Eucharist,” Archbishop Vigneron said. 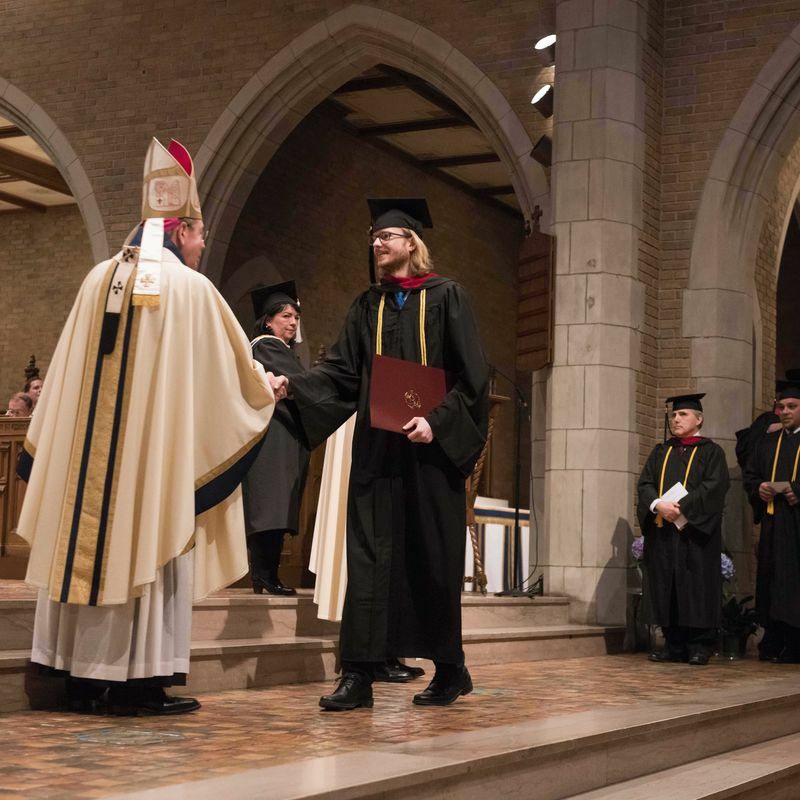 Although Commencement symbolized the end of a chapter, president and rector of Sacred Heart, Msgr. Todd J. Lajiness, reminded the class of 2018 that this formation, this love for the Lord they seek each day, is the work of a lifetime. 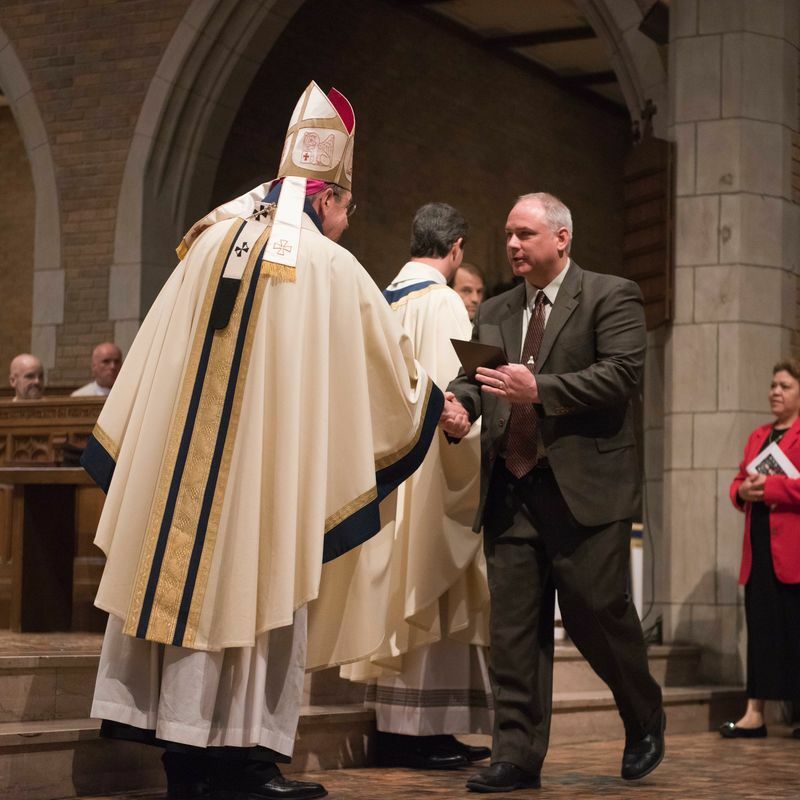 In his letter to the graduating class, Msgr. 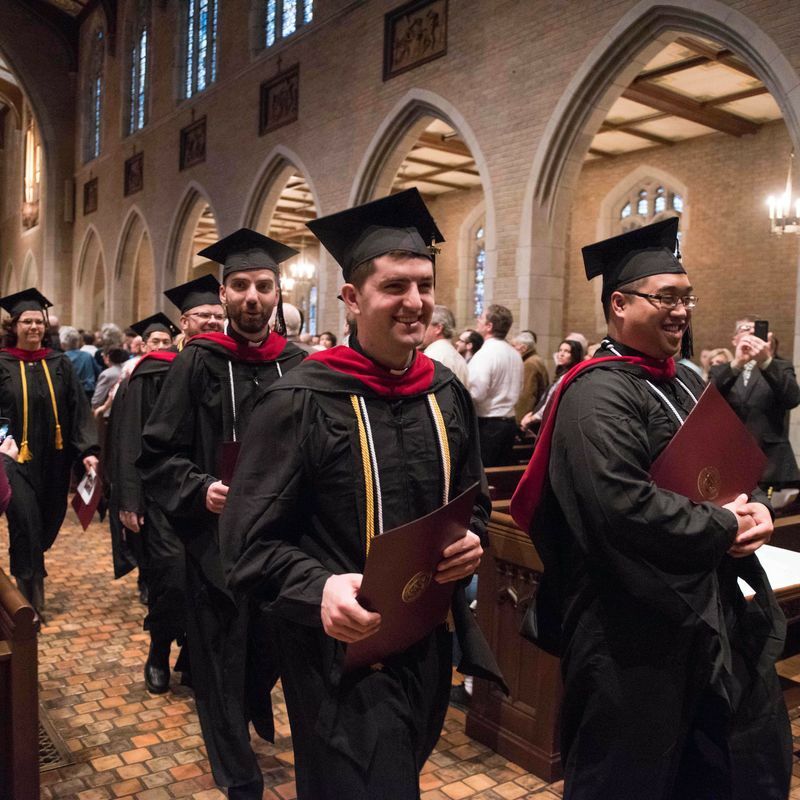 Lajiness wrote: “What begins here in the halls, the classrooms, and the chapel continues in the years ahead as you seek to know the Lord more deeply and give witness to him more effectively each day." Maggie is a freelance writer and editor based in Omaha, Nebraska, passionate about sharing stories that captivate.